Group Travel on a Europe River Cruise | Book 10 and Sail for Free! Groups of family or friends can save big on a Europe river cruise. 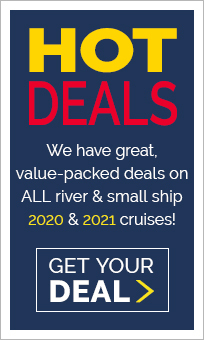 A European River Cruise Group is a great way for family and/or friends to enjoy a wonderful, all-inclusive vacation and maximize their savings. Unlike ocean-going cruises where you need lots of participants, a European river cruise group can be as few as eight people traveling together on the same river cruise, but generally comprises between 8-20 passengers. Each cruise line establishes the guidelines for its groups and the guidelines may also vary by itinerary. There are no other real parameters for establishing a group. A group can be just friends, or family, a school reunion, stamp collectors, or even people named “Johnson.” The most frequent use of groups are family reunions or the celebration of a Milestone Event. What are the benefits of going as Group? First, a river cruise is today’s best international vacation value and provides travelers with the most rewarding, most luxurious, and most relaxing way to experience some of the most beautiful and storied regions of the world. In addition, ALL group participants usually enjoy extra savings of from 5% to 25% OFF the normal brochure rates. ◙ In most instances, group participants enjoy additional savings from 5% to 20% OFF the best published rates. But, don’t feel left out if you can’t assemble enough friends to form a group! As we always emphasize… a river cruise is already your best vacation value because it includes all private sightseeing tours, many pre/post land packages, gourmet cuisine and… most cruise lines even include complimentary wine and beer at dinner. Why choose Premier River Cruises to manage your Group? ◙ We’ve been successfully planning and managing cruise groups since 1984. ◙ To top it all off…. 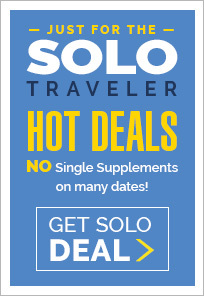 we even create a unique 4-color flyer and email to your friends and family! ◙ Read more about the Premier Difference and about Premier’s history. Phone [incl. area code] - - ext. *GROUP ORGANIZER: Varies by cruise line and generally applies to the cruise only portion of the trip. Free passenger may be required to pay any applicable taxes & fees. TERMS AND CONDITIONS: Prices, dates, promotions, and availability for any cruise, including group cruises are subject to change without notice. In addition, just like an air ticket, your prices, cabin, selections and special offers are only guaranteed at the time you make a deposit or full payment on your reservation. 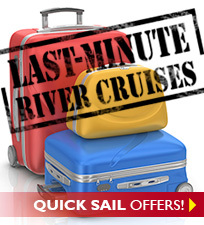 Group discounts vary by cruise line, ship and sailing date; call 1-855-255-1200, for complete details. © 2010-2019 Premier Travel Group. All rights reserved worldwide. We reserve the right to correct any informational and typographical errors on this form and throughout the website. CST#2104636-40.